My last visit this harvest season was at Franck and Isabelle Pascalle in Baslieux-sous-Chatillon. I arrived at the same time as the last grapes for the day. Franck and Isabelle have been farming biodynamically since 2002 and for the last 5 years they have taken things another step forward by applying bioenergy in the winery and in the vineyard. “We aim to raise the vibrations in the vineyard and in the winery. Bioenergy heals blockages and bring extra life to the vine and later the wine”, explains Franck. 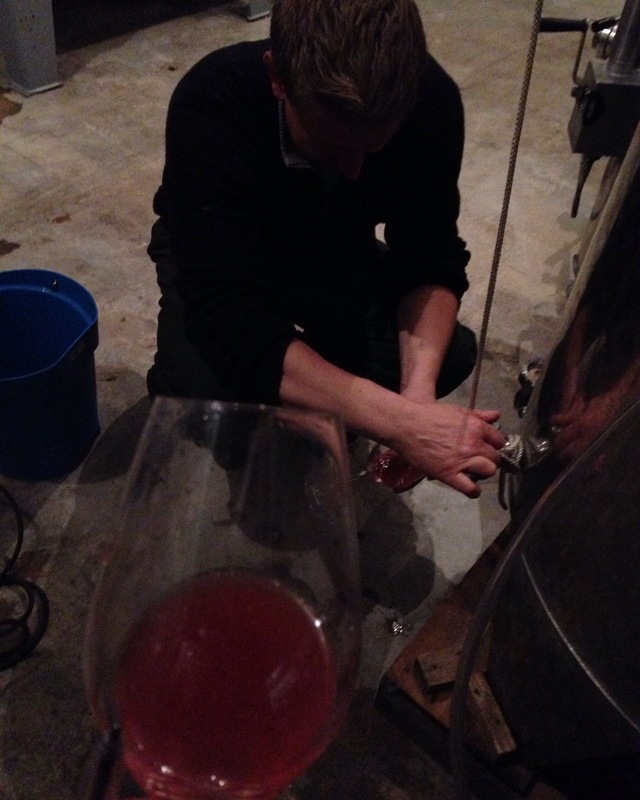 Working with energy also allows him to not add any sulphur when pressing, which is a really great thing as it allowed me to taste all the juice from the beginning of harvest! Tasting the different juices I immediately knew that the intensity and vibrancy of the juice is something which is rarely experienced in Champagne. The Meunier tasted like freshly pressed peach juice and showed no signs of imbalance or oxidation. The only thing I can maybe compare it with is the juice from the Clos de Cumières I tasted with Hervé Jestin; probably because Hervé and the Pascals have worked closely together for the last 5 years to further explore this way of working. The grapes arriving on the truck were from the 3 hectares Franck and Isabelle took over from Franck’s father in November last year. They immediately converted the new vineyard to organic and biodynamic farming, in line with the 4 hectares they have been farming this way for over 10 years. From past experience Franck has learned that it is a lot better to work the soil by horse so this is what he chose to do for the 3 hectares in conversion. Whilst in conversion they want to keep the grapes separately and thus have created a new cuvee, Liberance. Liberance will be 3 way blend of Meunier, Pinot Noir and Chardonnay, made according to the principles of bio-energy. The cuvee will be the little brother of the Sérénité, Franck’s top cuvée, as both chamapgnes are elaborated according to the same principles. The only difference is that Liberance is,not certified yet and that it will only be on sale en Primeur. The cuvée is called Liberance, because it allows Franck and Isabelle to stay true to themselves by converting the new vineyards all at once whilst at the same time providing champagne lovers with an affordable unique bioenergetic cuvée. Total production for Liberance will be around 25,000 bottles. This entry was posted in biodynamic, bioenergy, Champagne, Champagne harvest 2015 and tagged bioenergy, champagne harvest 2015, Franck Pascal, Libérance. Bookmark the permalink.